The Alaskan political world is in a frenzy this past weekend as a manuscript for a Sarah Palin “tell-all” book has been leaked to the media. 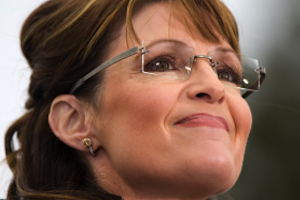 The manuscript was written by a former aide to Palin, Frank Bailey, who joined Palin in her team during her 2006 campaign for governor and stuck around until her resignation from said position. The manuscript clocks in at almost 500 pages and apparently depicts Palin as obsessive, vindictive, and prone to breaking election laws. Unlike that other Palin book in the pipeline, Bailey wasn’t just geographically close to his subject (strangely, the Anchorage Daily News reports that author and Palin-neighbor Joe McGinniss was one of the people to pass them the leaked manuscript), he was actually a close confidant to both Palin and her husband, Todd. The book was reportedly put together with the help of 60,000 emails back and forth between he and the former governor. It actually opens with a quote from one of those emails as Palin tells Bailey she “hate[s] this damn job,” shortly before her resignation. “[I]n Bailey’s telling, the reality was nasty. Minor slights became obsessions, according to Bailey, demanding revenge and if possible, destruction of the opponent’s reputation. ‘We set our sights and went after opponents in coordinated attacks, utilizing what we called “Fox News surrogates,” friendly blogs, ghost-written op-eds, media opinion polls (that we often rigged), letters to editors, and carefully edited speeches,’ Bailey wrote. One chapter asserts Palin broke election law by coordinating with the Republican Governors Association during her 2006 campaign for governor. State candidates can’t team up with soft-money groups such as the Republican Governors Association, which paid for TV commercials and mailers in Alaska during the election in a purported ‘independent’ effort. At the time, the Alaska Democratic Party had accused the RGA and Palin of working together on an ad that included Palin striding from the Hotel Captain Cook in Anchorage. There’s also quite a bit of information on the “Troopergate” scandal that involved both Palins trying to get a state trooper fired after he divorced and became involved in a custody battle with Palin’s sister. Bailey, himself, has always been closely linked to the story, calling a trooper lieutenant and listing why the trooper in question should be fired. Bailey doesn’t deny it but claims Todd told him to go after the trooper and congratulated him for the call. During the actual investigation in the case, Sarah Palin said she had nothing to do with the phone conversation and publicly chastised Bailey for making it. The manuscript, which an agent said should not have been released, was co-written by author Ken Morris and Jeanne Devon who runs the anti-Palin website Mudflats. On Mudflats right now, Devon has posted an angry message from Morris which includes a cease and desist letter to McGinniss, going after him for passing around the text.